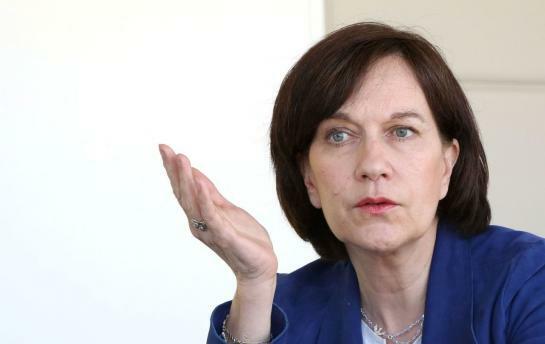 SHAFAQNA – Earlier this April French Minister Laurence Rossignol made a series of rather controversial comments when she likened women wearing the headscarf to slave embracing tyranny -using racist and defaming adjectives when referring to Muslims, Islam and foreigners in general. While she claimed that her outburst was misconstrued, arguing that her intentions were not to belittle or insult but instead empower women to take charge of their own life, Minister Rossignol’s logic vis a vis Islam, her position vis a vis Muslim women in particular, has been symptomatic of France’s rising Islamophobic narrative. And though France continues to hide behind its Republican values to better rationalize its ethno-centrism, and disdain of Islam – a faith state officials have labelled as foreign, and antagonistic to Western values; it has become painfully clear that the French Republic is suffering from an acute case of fascism. Keen to understand the rationale behind Islamophobia in France Shafaqna talked to Minister Laurence Rossignol. If tolerance should always be frowned upon, it is important to also remember that only through dialogue can we hope to foster positive change. Muslims today suffer misrepresentation and oppression, and it is up to us, as a community to work to change that. It is only by living up to Islam’s purest tradition and tenets that we can hope to oppose, and defeat radicalism, and violence. Education and dialogue of course stand core to any such efforts. SHAFAQNA – Minister Rossignol, your recent remarks labelling women who wear headscarves as “negroes who support slavery” caused real frustration and anger among Muslim women who wear the headscarf as a requirement of their religious beliefs. I would like to draw your attention to the danger of such stigmatizing remarks in a society like France, which has the largest Muslim population in Europe. As far as I know, there are 6 million Muslims in your country. MINISTER ROSSIGNOL – My comments were really taken out of context here. The point I was trying to make is that France is facing a rise in radicalism. France Muslim community has systematically refused to abide by our Republican principles: laicity, which provision that state and religion remains strictly separate. Religion in France is a private matter which should not enter the public sphere. SHAFAQNA – You keep likening the headscarf to a tool of oppression! Is it difficult to fathom that Muslim women make their own choices, and that modesty is actually a form of emancipation? MINISTER ROSSIGNOL – Women in Islamic countries have been systematically denied their rights: Sudan, Saudi Arabia, Afghanistan … women and girls are kept out of school, and denied work opportunities. France has seen a rise on honour killing and other violence against women, all in the name of Islam. I’m not saying that all Muslims are radicals but there are issues which need addressing. SHAFAQNA – All the examples you are citing relate to countries which have espoused Wahhabism – a radical expression of Islam, which many scholars, including Dr John Andrew Morrow, have actually accused of standing outside Islam. More importantly your government continues to entertain friendships with such countries. Don’t you think it is a little bit hypocritical for you to decry Muslims while opening yourself up to Wahhabism in exchange for lucrative contracts? Do you deny that Riyadh has invested billions upon billions of dollars in promoting and exporting Wahhabism – the very Wahhabism you are now blaming for France’s radicalization problem. Is it true therefore that it is Wahhabism and not Islam which should warrant your wrath? MINISTER ROSSIGNOL – I don’t see how France foreign policy has anything to do with Muslim communities in France. It is important for France to defend its values and ensure that our traditions are respected. We will not tolerate for our republican values to be challenged. France is a republic.